Enjoy beachfront living at Crystal Dunes, a low-rise condo property that boasts panoramic views of the Gulf of Mexico. Private balconies provide unobstructed beach views to take in a breathtaking sunrise or sunset. Take advantage of exclusive amenities including a community swimming pool and hot tub as well as BBQ grills. Crystal Dunes is in an ideal location right across from Camille’s restaurant, popular for sushi and great cocktails. Or stop at Crystal Beach Coffee Company to get your morning coffee or a delicious smoothie. Crystal Dunes is also right down the road from the Destin Commons, an open air shopping mall with a number of popular shops and boutiques, restaurants, a movie theatre and bowling alley. Besides pristine beaches with soft, sugar white sand, there is much to do along the Gulf Coast. Destin is known as “The World’s Luckiest Fishing Village” and attracts visitors all year for fishing. This contributes to endless dining options of fresh seafood and a wide variety of casual to upscale restaurants. There are also championship golf courses to enjoy, premier shopping outlets, bike paths along the beach roads, and tons of water sports. Northwest Florida has everything you can dream of for a perfect beach getaway. 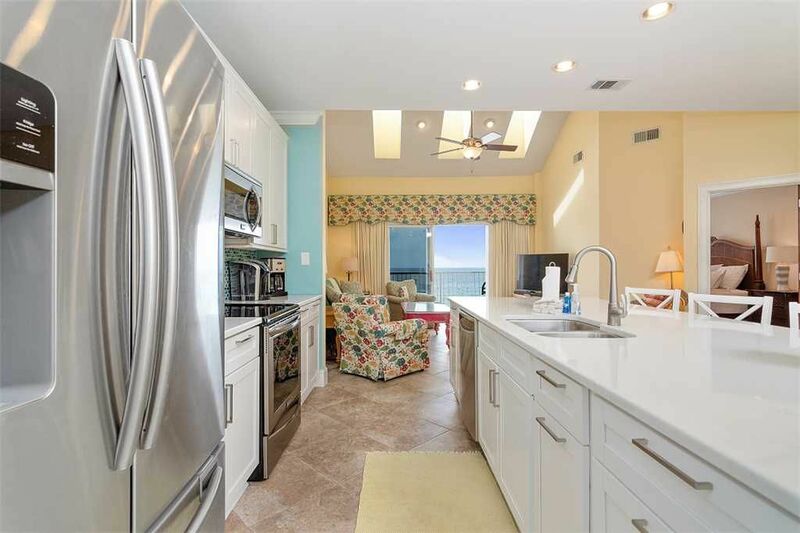 Only 38 units in this gated condominium, Crystal Dunes is conveniently located in the Crystal Beach area of Destin and close to Henderson State Park. The activities nearby are endless including boating, water sports, fishing, golf courses, tennis, movie theaters, shopping, and spas including The Henderson. Unit 601 boasts a remodeled kitchen including Induction Stove, touch-faucet, stainless steel appliances, glass tile backsplash, Carrera Quartz counters. This lovely condo has Cathedral ceilings, crown molding, solid wood doors, living room skylights, 4''plantation shutters, full size laundry room and more. Every bedroom has its own bathroom including the loft. A spiral staircase takes you to 4th bedroom w/ twin bunks + double bed. 55” Sony Smart TV in master bedroom and 43” Smart TVs in all other bedrooms. Coming May 2018! The completely renovated master bathroom will feature new faucets, mirrors, lighting, and hardware, in addition to a large walk in shower. All other downstairs bathrooms will feature new lighting and new mirrors. I recommend this condo. The decor was good and updated nicely. Right on the beach..close to everything... We had enough room for everyone....! We had a great time at Crystal Dunes. Had almost all my kids and 9 grandchildren with us for the weekend and they loved it. Love that it was a small complex and not to many people.